We have four varieties of apple; all old heritage varieties including Christmas Pearmain, Cornish Aromatic and Pitmaston Pineapple. 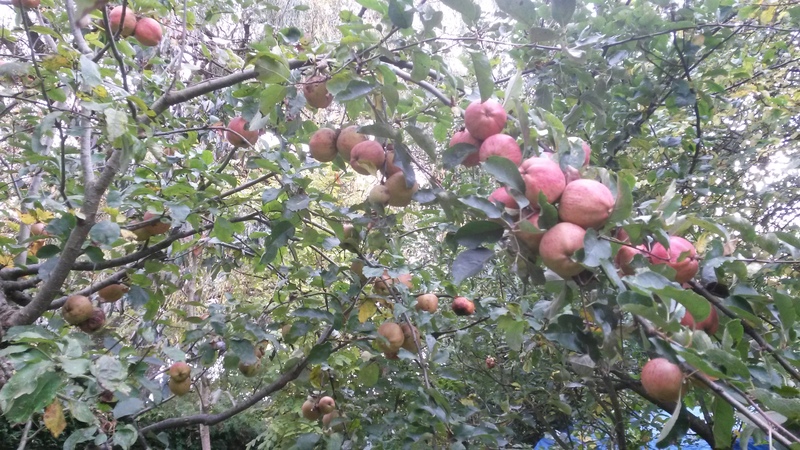 We have fresh apples from the end of August until early spring, and after that a few Christmas Pearmains hang on as excellent blackbird food. 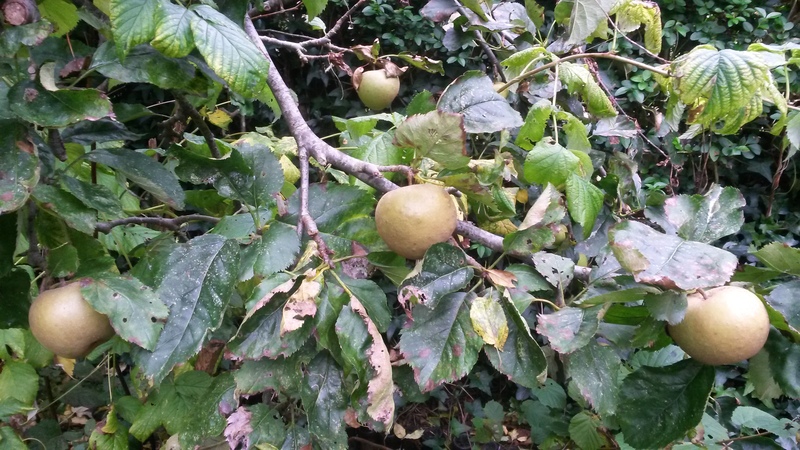 They are all really crunchy and tasty, and can be eaten straight from the tree or made into apple crumble, apple jelly, etc. There is always a balance to be struck between letting fruit ripen fully on the tree, and waiting so long it falls off and become damaged. Commercially, fruit is normally picked under-ripe, all at one time. This makes for a more streamlined operation and undamaged fruit, but under-ripe apples are nowhere near as nice as those that leave the tree with a tiny twist of a cupped hand. I have experimented with storing them: wrapped in newspaper and kept in a cool dark place, or gently supported in racks. But unless you can ensure that every single apple is utterly undamaged, you can end up with a box of rotten apples. The maxim of the ‘one bad apple’ holds true; a damaged apple can turn the whole box. I have concluded that it is better just to eat fresh apples. They make excellent ‘van food’, preventing low blood sugar and guilty visits to the bakers.